Handbook on Clostridia takes a global approach by presenting information on both Clostridia of biotechnological importance and Clostridia of medical importance. Experts in the field summarize methods, physiology, medical significance, regulation, ecosystems, genomics, and current and potential applications. 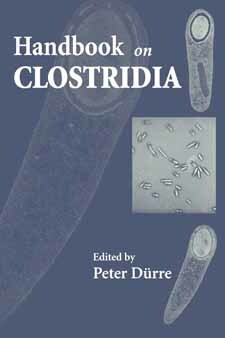 Handbook on Clostridia provides a comprehensive resource on the complete field of Clostridium, and serves as a compilation of critical reviews on the advantages of using Clostridia for new medical and biotechnological applications. It is a valuable reference for every specialist or researcher involved in this field.